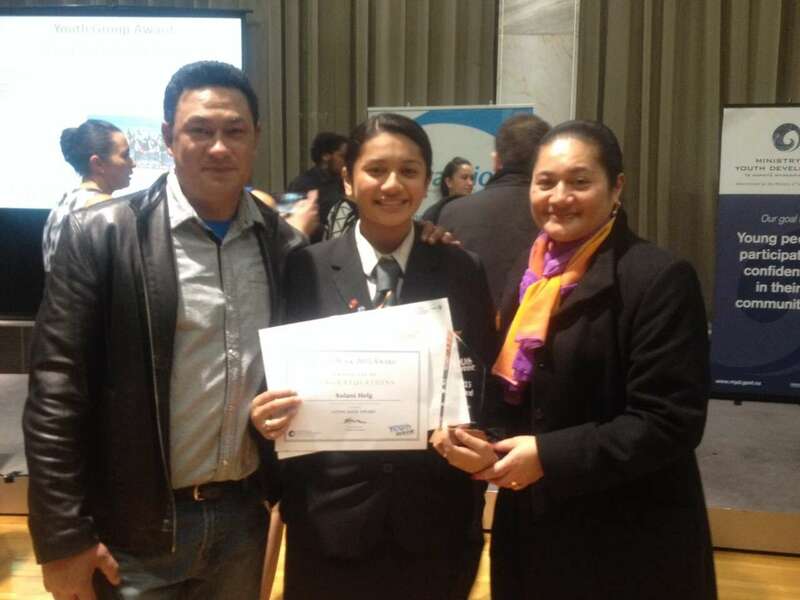 Since her first year at Manurewa High School, Sulani Helg has been a student committed to serving her community, both within the school and externally. The depth and breadth of her efforts saw the Year 12 student acknowledged by the Ministry for Youth Development in the presentation of the 2015 Youth Awards in June. Sulani won the award for "Giving Back". 1. 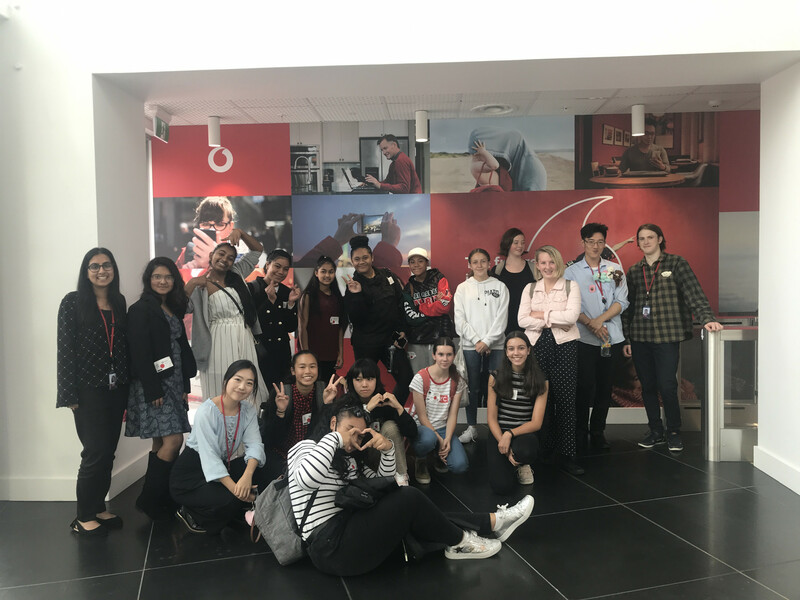 Co-ordinator of the Manurewa High School Breakfast Club, which organises donations of food and provides nutritious breakfasts for all students. 2. Student member of the Manurewa High School Board of Trustees. 3. Youth Ambassador for Rheumatic Fever, with responsibility for raising awareness of the heart condition within her local community. 4. A member of the Youth Advisory Group for the Ministry of Youth Development (northern region), which involves advocacy and consultation for youth issues, eg advising on the Pink Shirt Day (bullying awareness) campaign. 5. An ambassador for Save the Children, which involves consultation on local issues through both direct conversation and participation in a closed Facebook group, with other ambassadors. Sulani was invited to become an ambassador after she was profiled on Campbell Live for her leadership of the Manurewa High School Breakfast Club. 6. A participant in the Manurewa High School Humanitarian Aid Leadership Programme (HALP). The purpose of this group is poverty awareness and global leadership skill development. Each year it raises funds and takes a group of students to Southeast Asia, to do aid work. Last year, Sulani helped raise funds and organise donations of supplies for a range of causes in Laos and Thailand, including orphanages, villages, and schools. 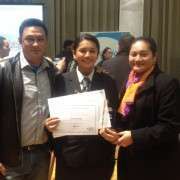 The impact of this work was acknowledged when she won second place in the Age 13-18 category of the Auckland City for Peace Awards in 2014. Sulani believes that since she started in Year 9, each year she has noticed the school improving. "There is something fascinating about MHS," she says. "I notice that when you work with just a few people, it quickly expands out. Through the process, it expands me." Sulani will once again take part in the annual HALP programme, which this year takes students to Cambodia and Laos. The global experience has confirmed a life path for her. "I'm really eager to contribute to development work in the Pacific Islands and Southeast Asia. My passion is to restore lives and contribute to restoring humanity."